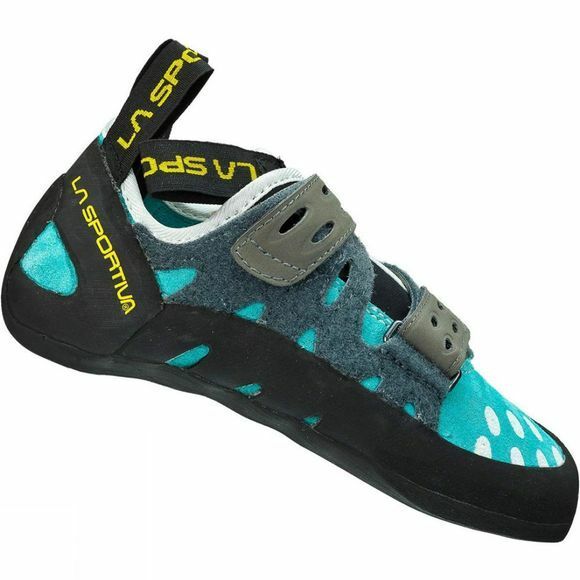 The Women's Tarantula Shoe from La Sportiva is a multifunctional climbing shoe that is ideal for those just getting started. The cross over velcro allows you to have a sturdy and secure fit quickly while the padded tongue makes the shoe easier to get on and off. It is odour resistant to help reduce the chance of odour causing bacteria building up and causing a stench and the FriXion 4mm sole offers enhanced durability for all your gripping and smearing needs.